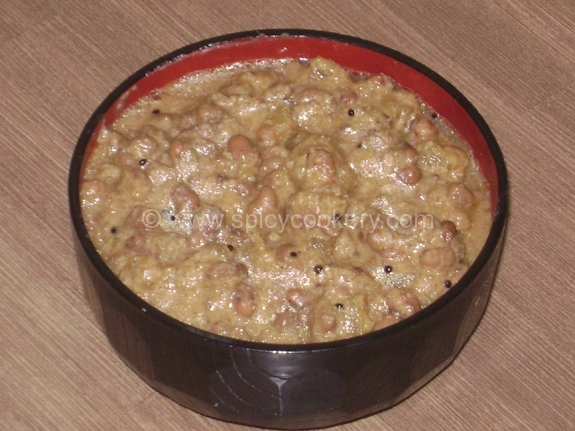 Olan is one of the 9items which is prepared in Kerala during Sadya/ Onam/ Vishu. 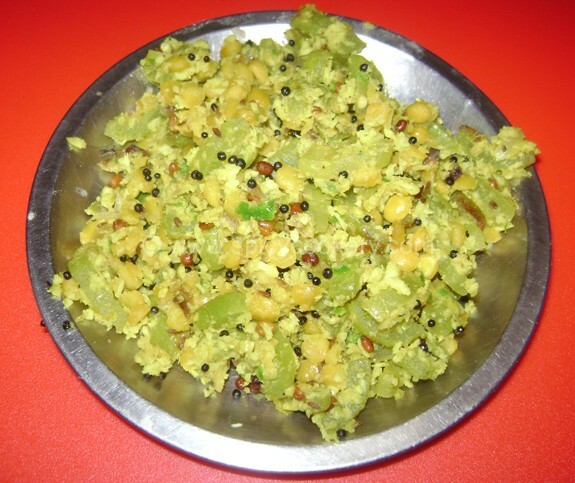 This side dish can be made very easily with very less ingredients. 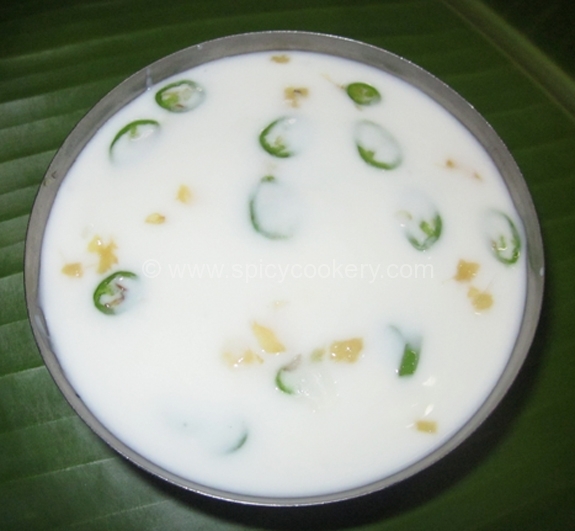 White Gourd cooked along with green chilies and coconut milk gives a special taste to the dish. Take a deep bottom vessel. Add chopped elavan and 1cup water. Add green chilies and little salt. 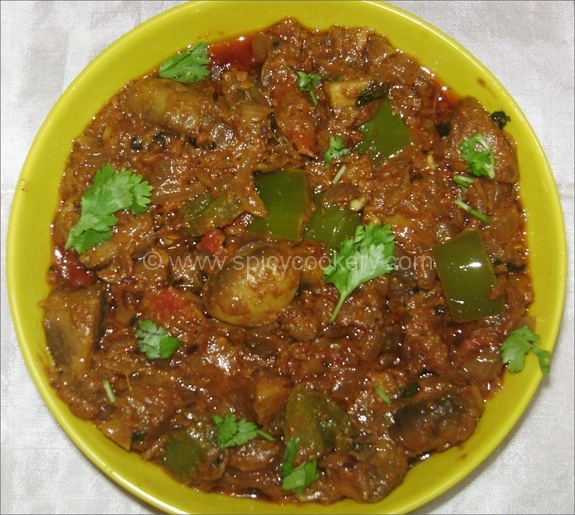 Cook on low gas till elavan is properly cooked. Clean the Red bean nicely and cook in pressure cooker. 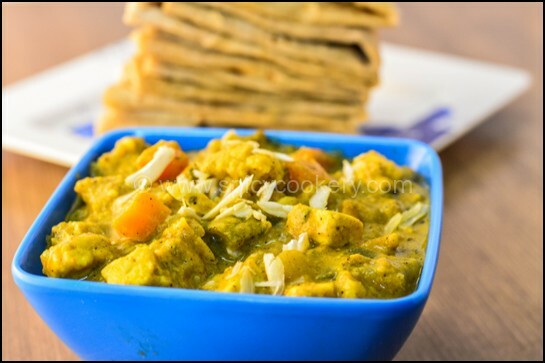 When 1st whistle comes, low flame and cook for 8mins. 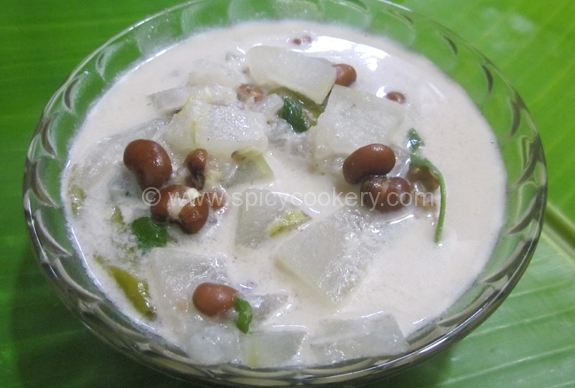 When the White gourd is completely cooked, add cooked red bean excluding its water. 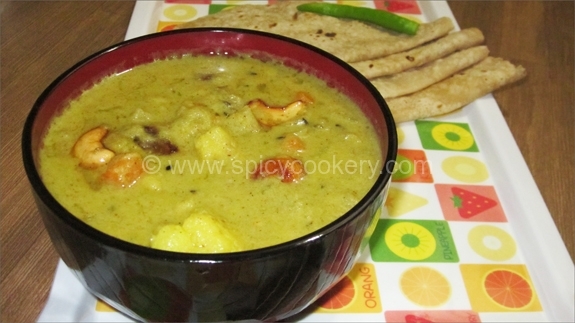 Add coconut milk, curry leaves and adequate salt. Bring the curry to boil. Remove it from Flame. 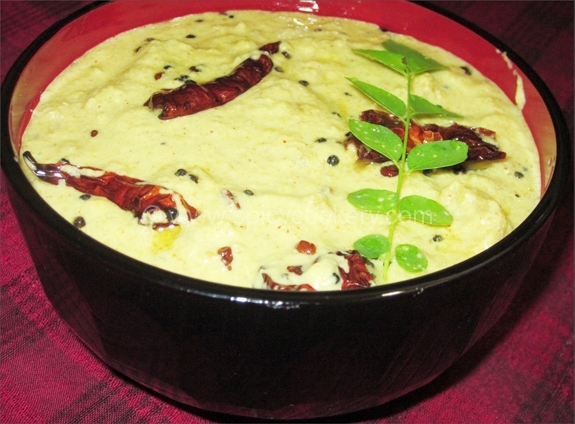 Kerala Style Olan is ready to serve as a side dish.